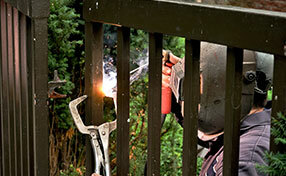 Get your questions on gate repairs and other door concerns answered here by experts. What can be done if my existing posts and piers are not suitable for automation? If you are considering automating your existing gate, experts of Gate Repair Venice advise you to check if your posts and piers can withstand the forces that the proposed operators will apply. If your posts and piers are not strong enough, you need to reinforce them by rebuilding or replacing your existing post and piers with stone or brick piers with steel reinforcement. With all these automations I understand how visitors come in but how do they leave? 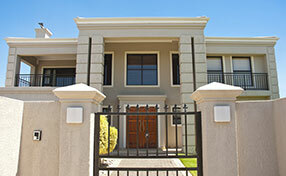 With automated gates, you have the sole control of visitors coming in and leaving. Your visitors can come in when you grant them access. Likewise they can leave your premises by making use of your remote control hand set. You can also activate the gates through the intercom or pressing an exit push button that you have. Some make use of exit code pads. 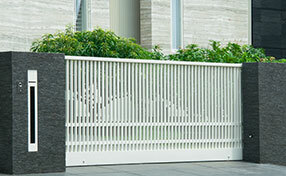 What are the advantages of sliding gates? Sliding gates are ideal for smaller spaces since there would be no swinging motions involved, which cover greater floor space. Also, it may be lighter for a gate opener since the sliding requires less power to move. This applies if you don’t have an opener as well. Teach your kids about the dangers of heavy gates and keep them away from them, especially when they're moving. Don't let them put their fingers or feet among the gate rails or in its way when it is moving and don't allow them to play with the gate clicker. Why should you consider getting a linear arm operator? If your priority is easy installation, linear arm operators are the best option to consider. These operators can be directly attached to the post. There is no digging and concealment involved. The electronic components are housed in a separate control panel. Many linear arm operators come with integrated solar power kits or can be easily modified for solar power integration. When should I install pedestrian doorways to gates? If you don’t have a dedicated walkway for your home but do have a driveway gate, it is highly recommended to have a pedestrian doorway installed. Not only is it tedious to open driveway gates for people to pass through, it is also unsafe. A separate lock system is needed for your pedestrian doorway, so keep pedestrian safety in mind as well. Which parts of my swing gate should I check on a regular basis? The most important parts to check are the areas that receive the most work and pressure. The hinges are always a crucial part of your sewing gate. Check for rust and stiff mobility. They could need a lubrication if getting too tight. Another key element is the motor on your opener if you have one. Check for dirt and clear away any obvious debris.